Here’s a video I did for my girl friend’s blog, LT Wellness. Her topic was Mad About Meal Prep. Grab some ideas for your home and let me know what you think. Hope it helps make your week a little easier. Steam a bunch of vegetables. It takes 10-15 minutes in your steamer basket. Roast sweet potatoes in the oven. They are great for snacking, adding to meals or mashing up and putting in tacos. Always have a healthy grain. Cook a large portion of it. You can repurpose it, toss it on salads, use as a base and top with vegetables or the meat of your choice. Roast a chicken for the week. It is great for meals, chicken salad, chicken soup and tacos. Chop extra vegetables. 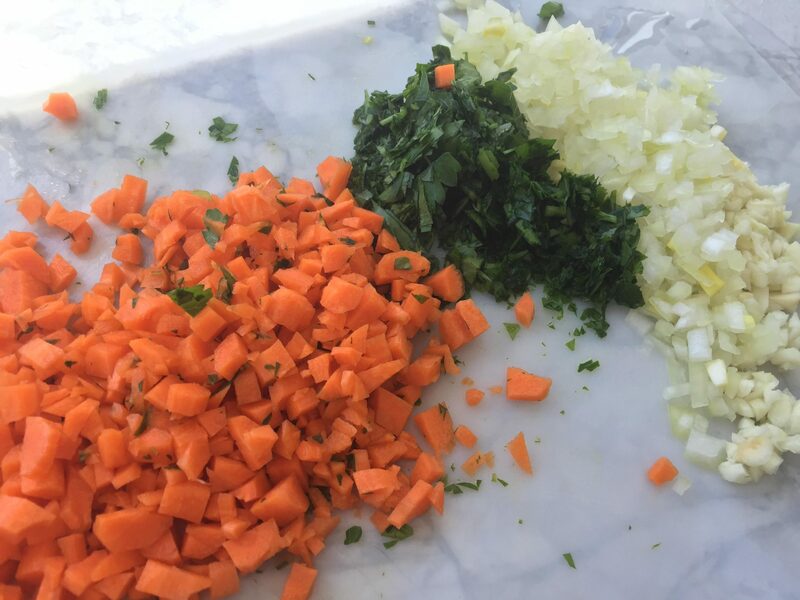 I always chop twice as much garlic and onions so that I can use it the next day and if I have time, I will cut up a few other things that will keep well. The Light in You…Smoothie Workshop!